I went to the movies the other day and $87 dollars later...Wow it's just so expensive!! BUT you could score yourself FREE movies for a year with Landmark Cinemas. 2019 Academy Awards contest is running from January 22 - February 23, 2019. The movie giveaway is open to these select provinces: BC, AB, SK, MB, ON, and YT. This is a limit of one entry per email per day during the contest period.There is one grand prize which is: FREE Movies in 2019 at any Landmark Cinemas which consists of one (1) 2019 Landmark Cinemas VIP Card. Prize Value is approximately $1,000 CAD. 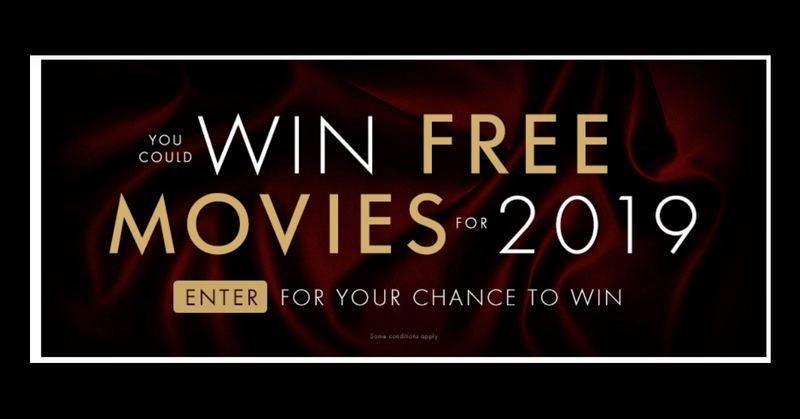 Enter to win free movies for a year!